These Word Family Resources feature the following short vowel word families. 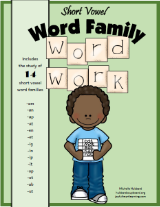 The Word Family Booklets are written in repetitive sentence format and incorporate sight words. The Stage 1 Booklets are designed to be slightly easier for students to read and use simple initial consonants and maybe an initial blend. The Stage 2 Booklets are designed to be a little more difficult and use mostly initial blends. 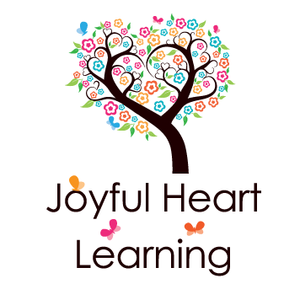 Each booklet also contains a Word Family Companion worksheet that further enhances the word family study. The Teacher Versions are designed to have each picture and corresponding text printed on an 8 1/2 by 11 horizontal sheet of paper. A few Word Family Booklets also contain an audio MP3 and/or a Quicktime movie. These multimedia versions were created by Waleska Batista. -TOP: Use letter tiles or magnetic letters to form new word family words. -BOTTOM: Say a word and then have your child find it in the sight word table. Let them place a pom pom, button, or another small object on each word as they find it. Then, have them remove the objects one at a time and say the words again. Either let your child write the letters needed to make a word to match the picture or let them cut and glue the correct letters. How many words can your child read? How fast (and clearly) can they read the list of rhyming words? Children can sort pictures into one or more word family houses according to sound, may read and sort the words by word family, or may read the words and match them to the corresponding pictures. Choose which word families you wish for your child to practice. Have your child cut apart the pictures at the bottom. Then, have him/her read one word at the top of the page, find the corresponding picture, and glue it under the matching word. The Word Family Mini Booklets are one page sheets that have six words from the same word family with corresponding pictures. Suggested Use: Introduce the word family by reading the title page (bottom right corner). Read the other words with your child. Have your child color and cut out the pages along the dotted lines. Place the house title page on the front and staple. Decide ahead of time if you wish for your child to think of another word family word to draw and write. Then, see if your child can read all the words to you! Rhyme a Week - Word Families studied within the context of nursery rhymes; lots of printables here!